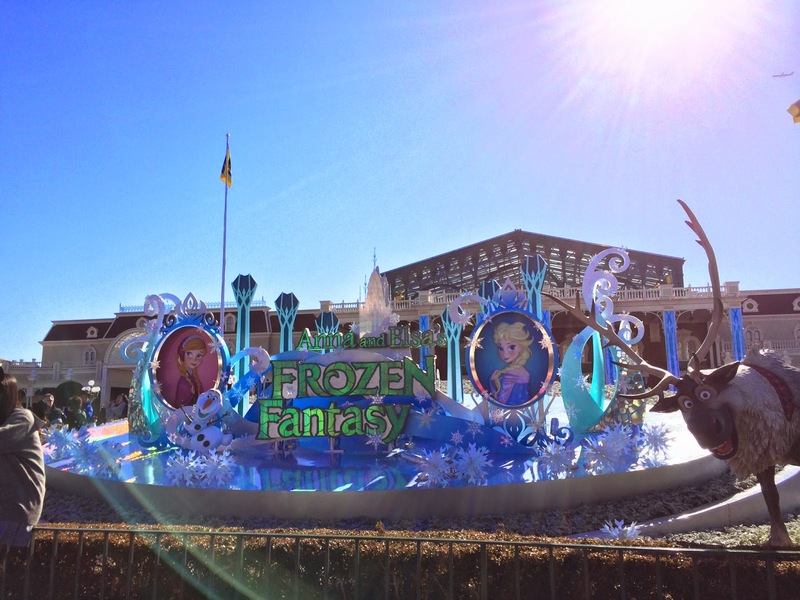 Tokyo Disneyland started "Anna And Elsa's Frozen Fantasy" on January 13, 2015 and it'll end on March 20, 2015. 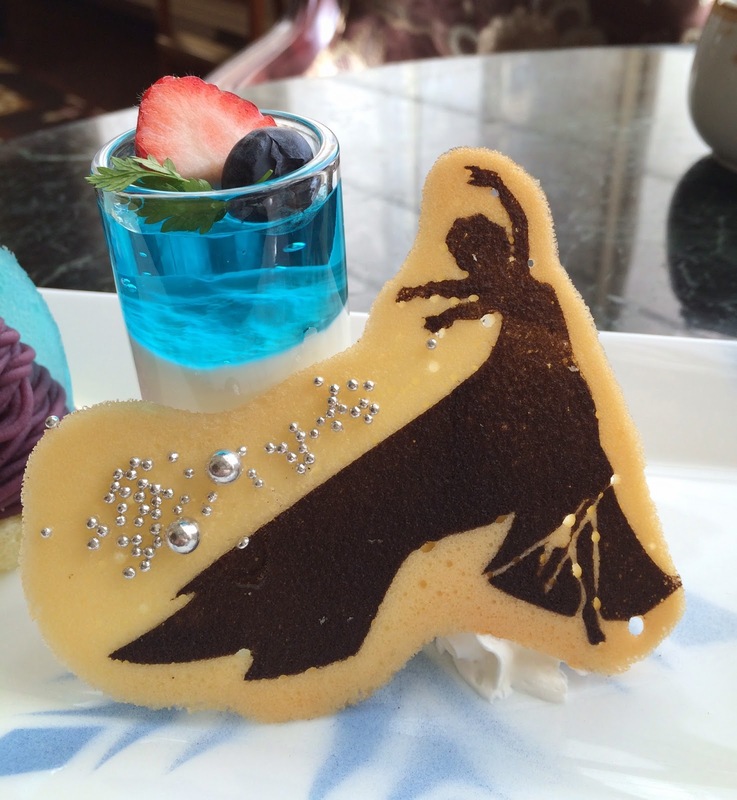 During this theme, there're many limited items and decorations with Frozen theme and characters. 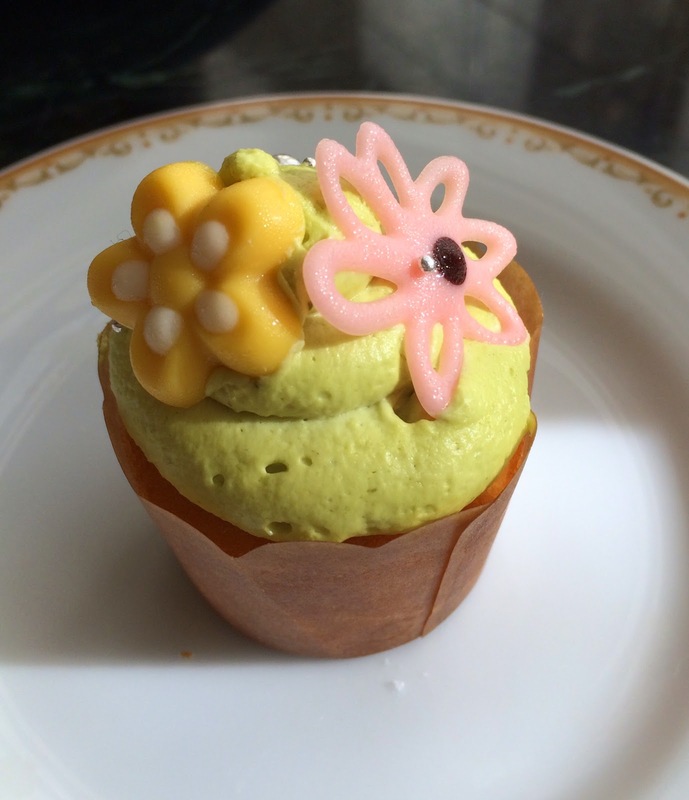 One of them is afternoon tea at Dreamers Lounge in Disneyland Hotel. 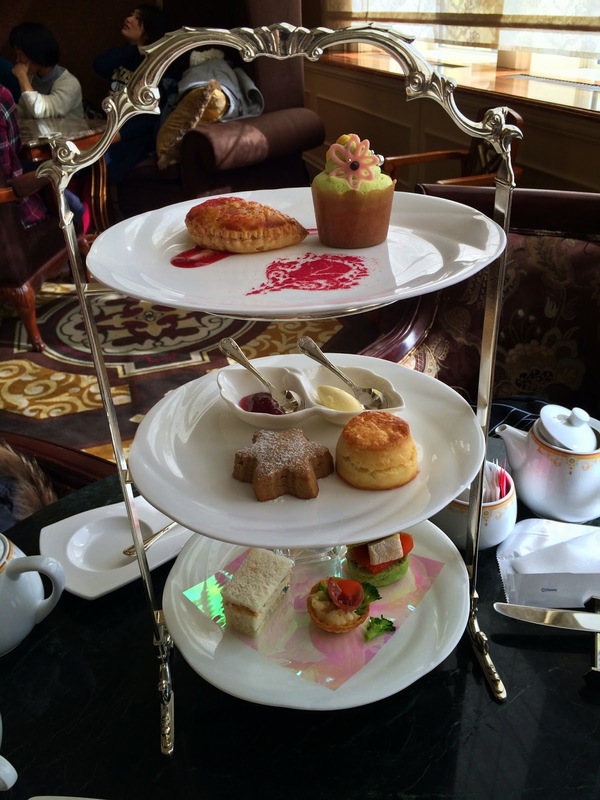 Afternoon tea set is available from noon, and usually we seat around 11:30 AM and they serve the item from noon. However, it's seriously different from that; a female staff had no smile on the face and she talked condescending way, thus it's the worst service EVER. A bit after 11 AM, I asked at the desk if we could seat then and order other items to wait for the afternoon tea, then she said, "From 11:30 AM" without any single smile. And also I asked her even though we're ordering special dessert and drink which are served from 11:30 AM, we're still not allowed to sit, then she said, "Huh? Plate!?" to me. I'd never expected to hear "HUH?" from a staff. Around 11:15 AM, some people started lining up near the entrance of the lounge, and including me, we're all by the wall and there're not many hotel guests walking around. However, the same expressionless staff came with pissed off face and said with mad voice, "We let you come in from 11:30yyyyy, please waitttttttt, on the sofaaaaaa." Around 11:25 AM, there's another rough line was built again, and a group of females went up to the same staff to complain. Apparently, when they started lining up, she said to them that there're plenty of tables so that they'd not need to wait in line." When they finally let customers come in, the group was taken to the lounge right before us. Though we're lined up earlier than the group, she anxious staff stopped us with her hand and took the group in before us without saying, "Sorry for the inconvenience, I'll be right be with you," and this really made me uncomfortable and yes, insane. 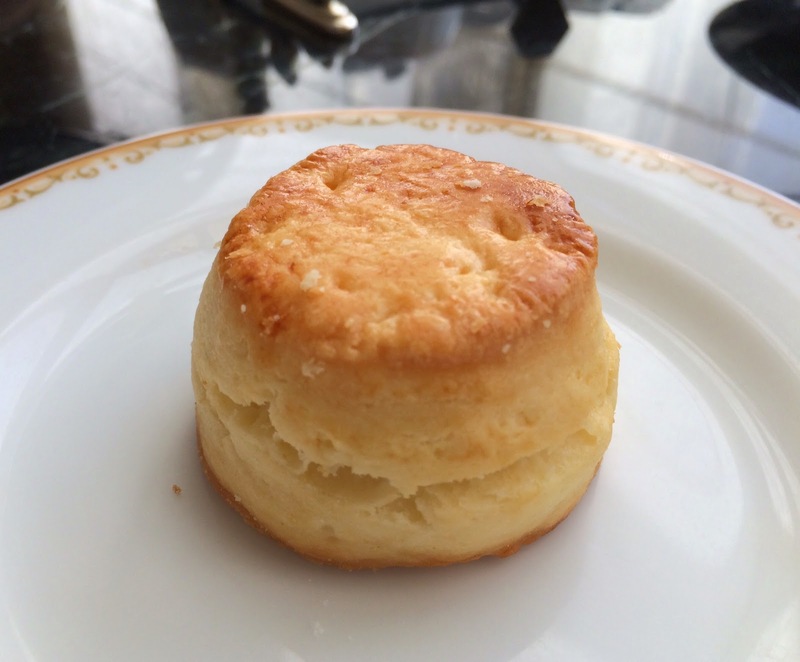 Including the occasion I found a foreign object in my plate dish, they usually provide good service and this time, it's totally the worst and not a good start of the afternoon tea experience. * And the staff's suggestion to the group was a false; the lounge was FULL immediately. 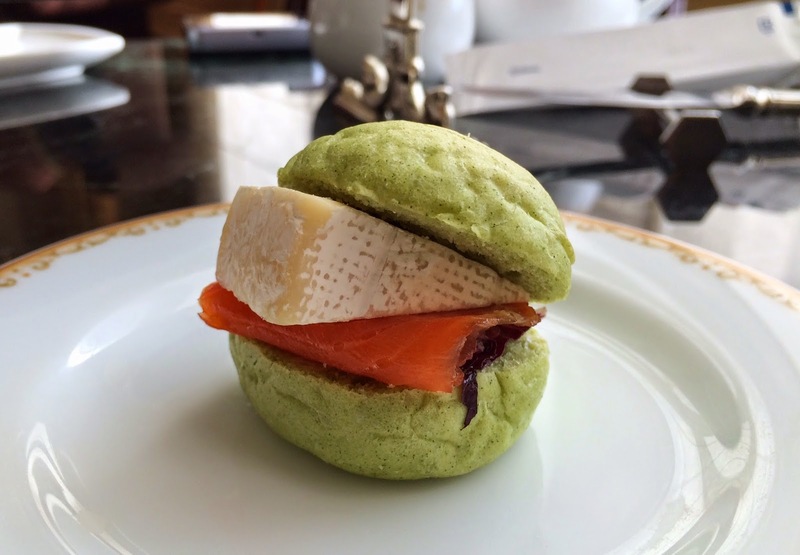 Anyways, we ordered all the limited items, but here's the afternoon tea set review. 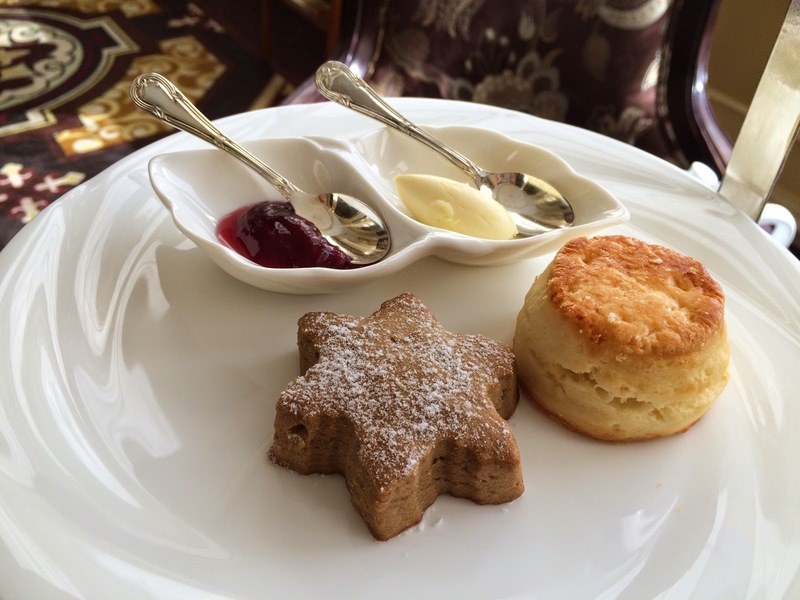 This is the afternoon tea set. Top, a cupcake and a pie with Anna's side face. Bottom, sandwiches and Hors d'Oeuvres. 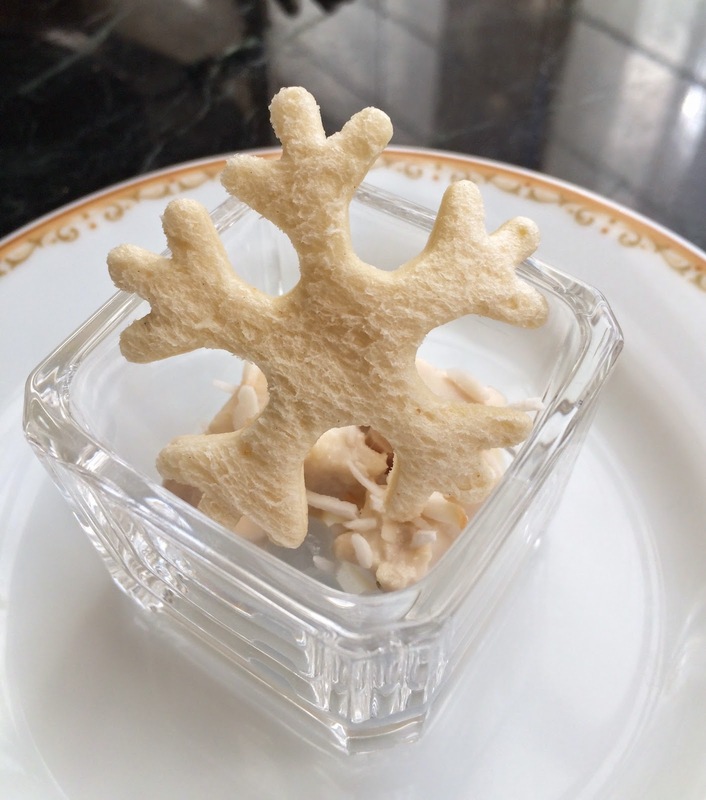 The snowflake was toasted white bread and crispy. The light blue balls were similar to tapioca but the center was tough and tasted uncooked. The dressing was mayonnaise base. 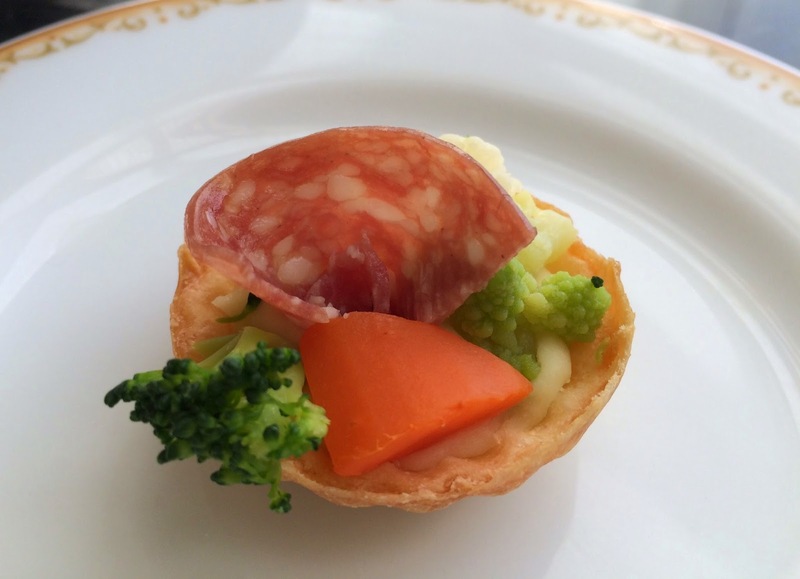 In a mini tartlet, there's mushed potato, carrots and broccoli with a slice of salami. It contained way too much mayonnaise, my husband said. 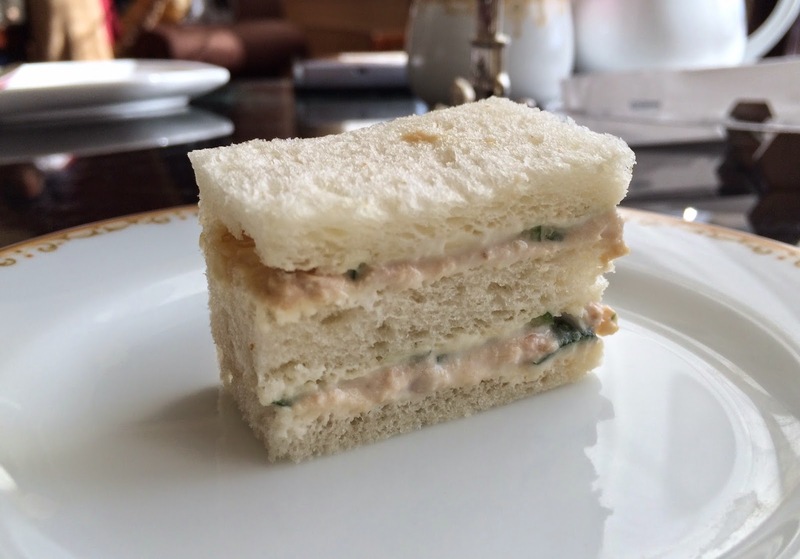 A thick slice of camembert in the sandwich and mustard was used. 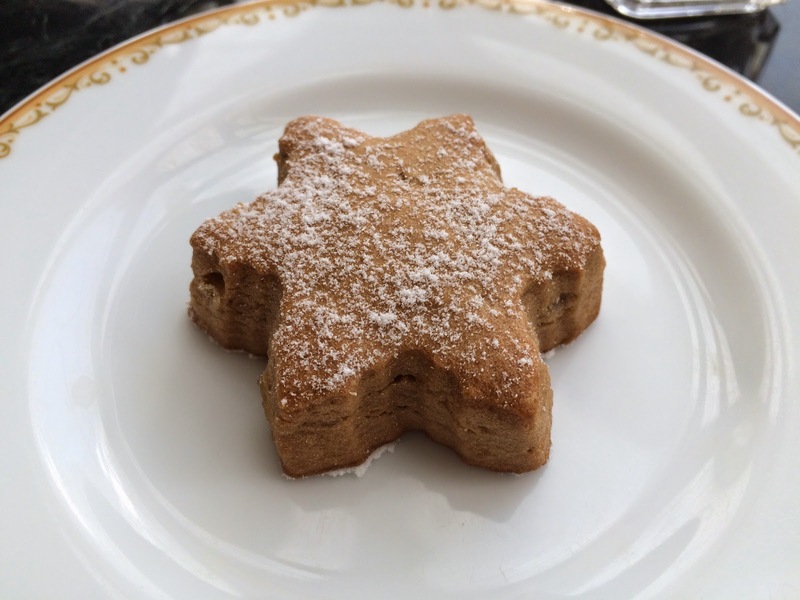 It's squishy and somehow tasted like a gingerbread. 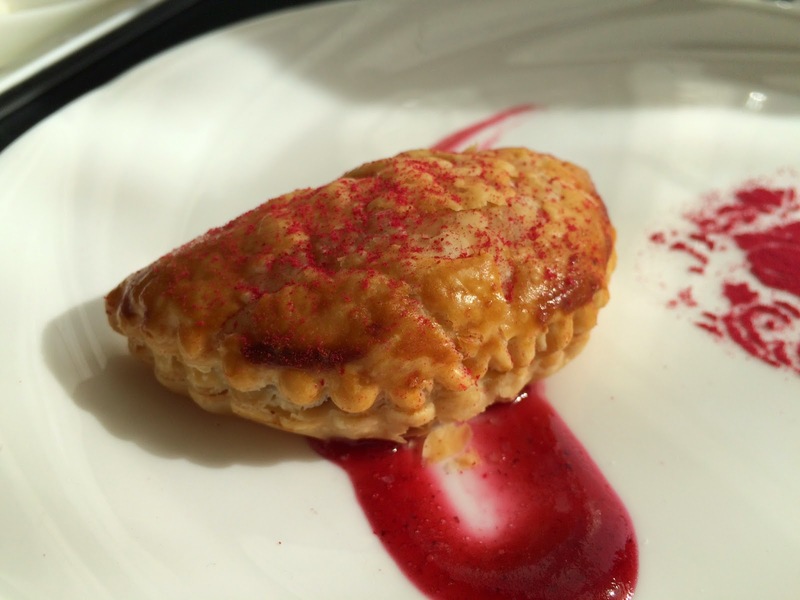 It's rough and had no crispiness, and it's dried. Cupcake and Cheery Pie were part of Dessert Medley. 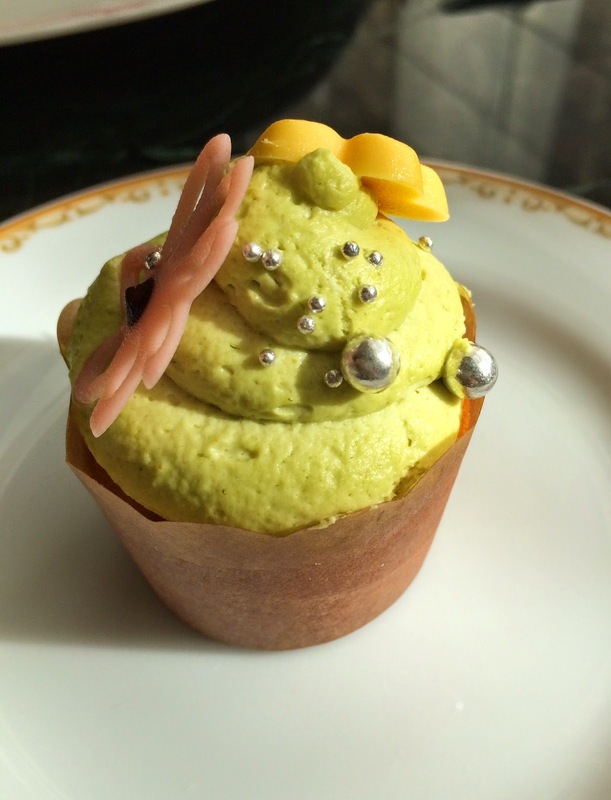 It's pistachio cream over sponge cake. 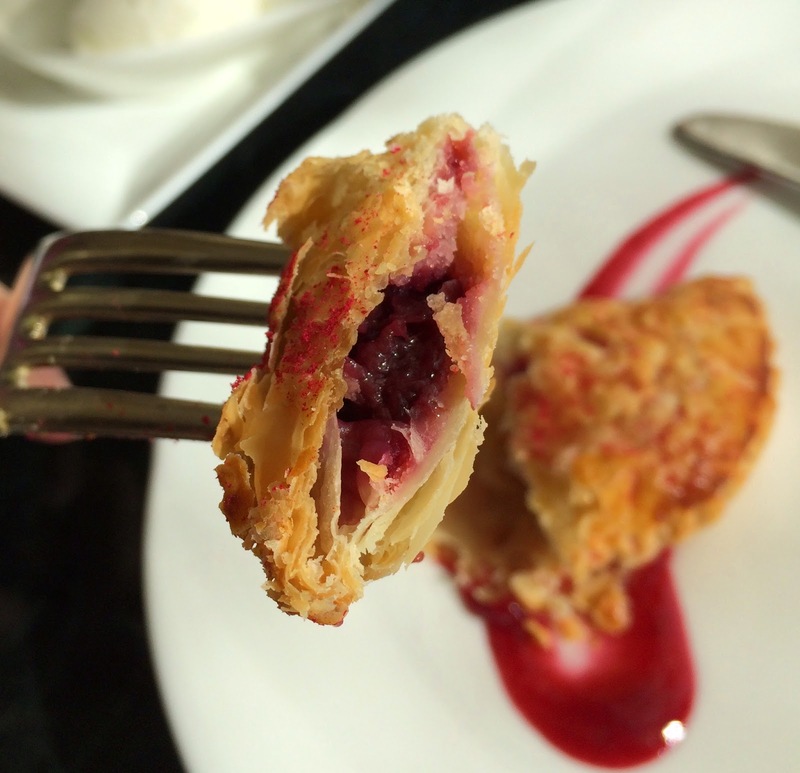 In the crispy pie, there're cherries. 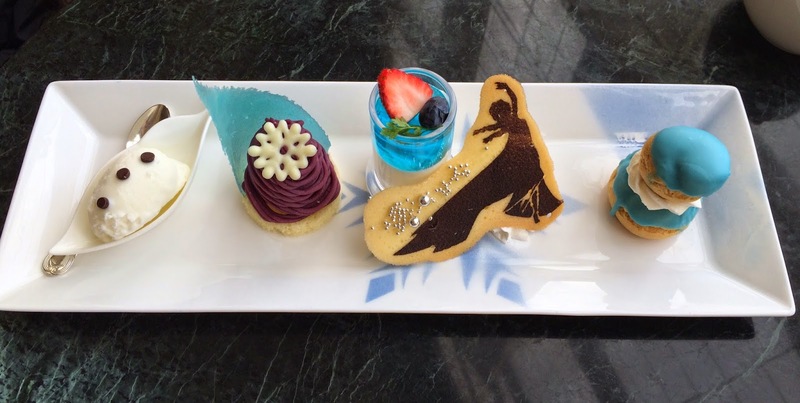 It's Elsa themed and there's a large blue snowflake on the plate, a cookie with a shadow of Elsa. 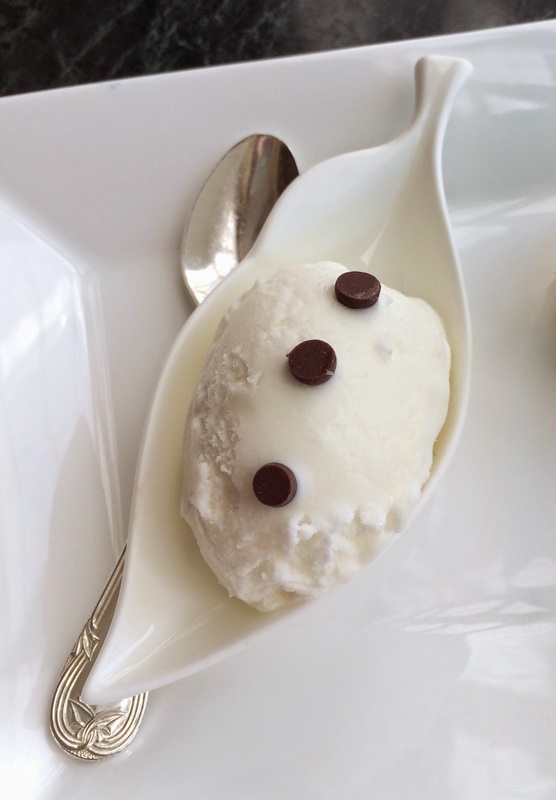 It's quite salty ice cream. 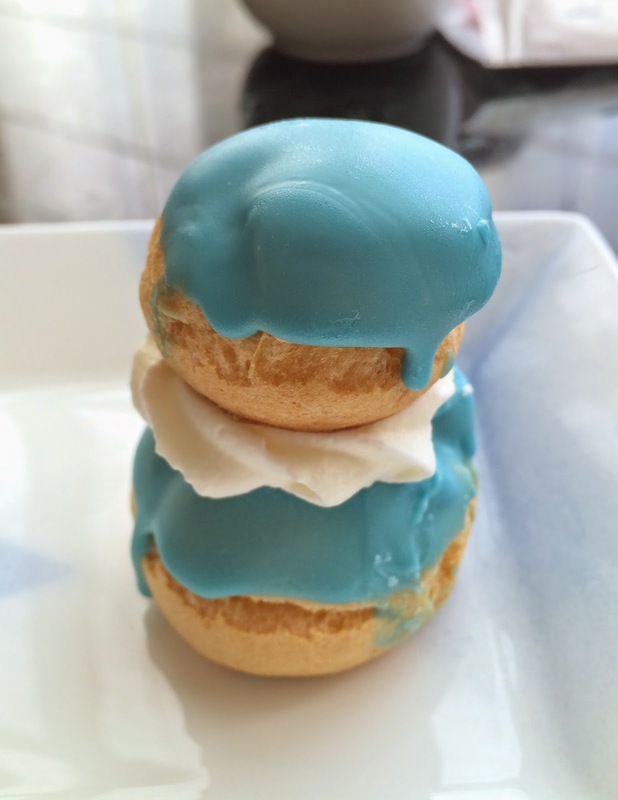 It's a French pastry made of 2 choux (cream puffs). Light blue colored chocolate on the top and the filling was whipped cream. 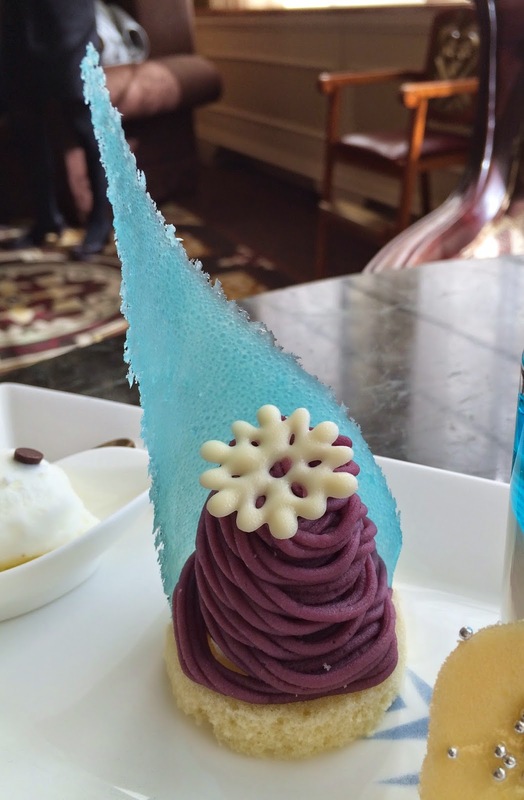 Underneath the purple sweet potato, there's whipped cream with chopped chestnuts. 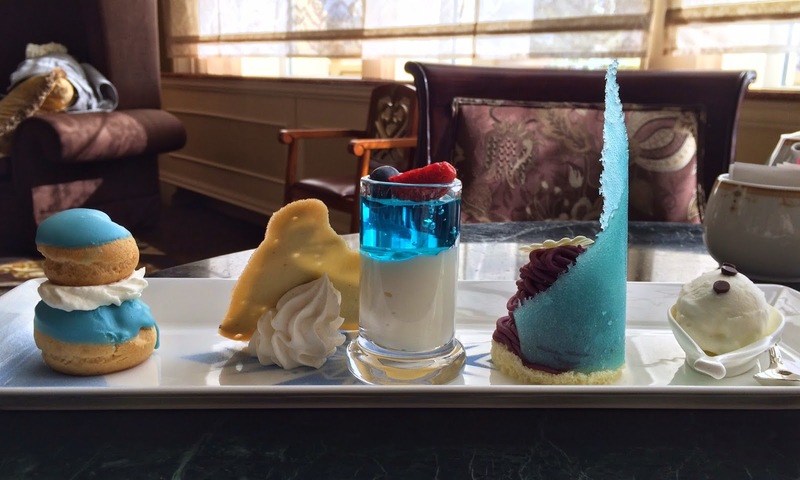 The blue part looks like Elsa's castle was crunchy candy. 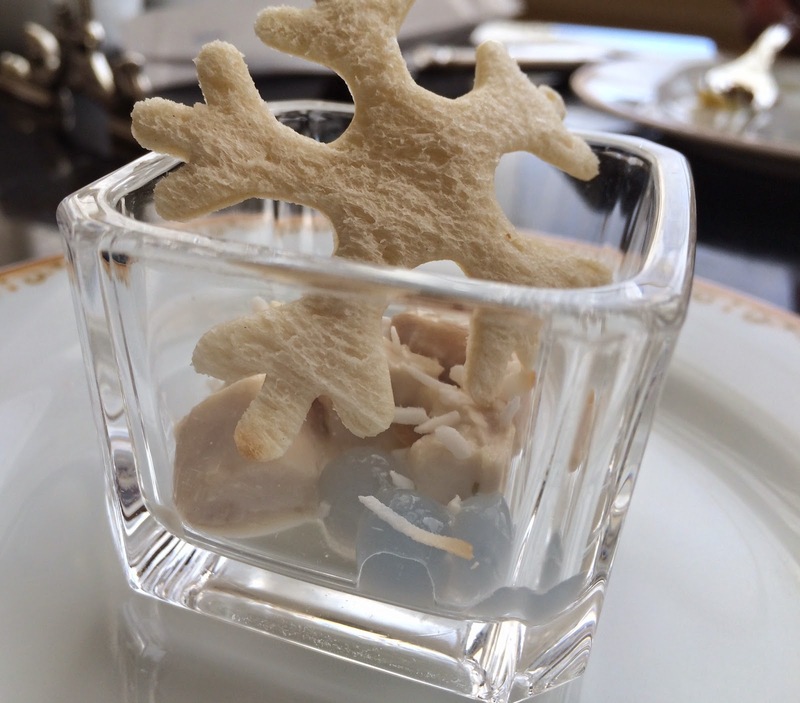 Panna cotta was smooth and sweet, and lemon flavored blue jelly with a half strawberry and a blueberry. Usually they ask if they could bring Dessert Medley, but they brought it without asking, and also they brought the check while we're eating so that it's quite uncomfortable. They used to limit the numbers of afternoon tea set per day and each guest had to book it at 11:30 AM at the lounge by lining up and waiting. 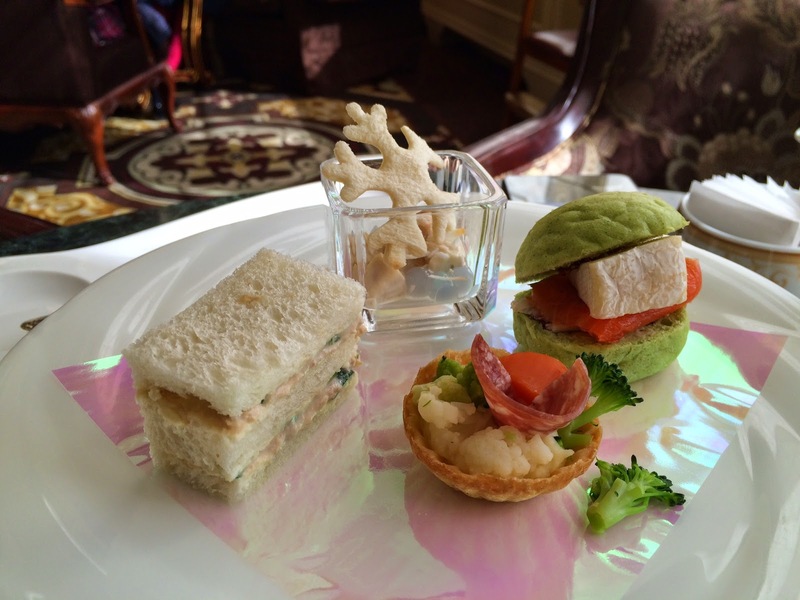 However, they stopped the system and started letting guests order afternoon tea set at the tables without stating the numbers of availability. If they're annoyed to tell people not to line up or they can't carry out their work with smile with hospitality mind, they should come up with different methods like placing a stand with "Afternoon tea starts at noon. 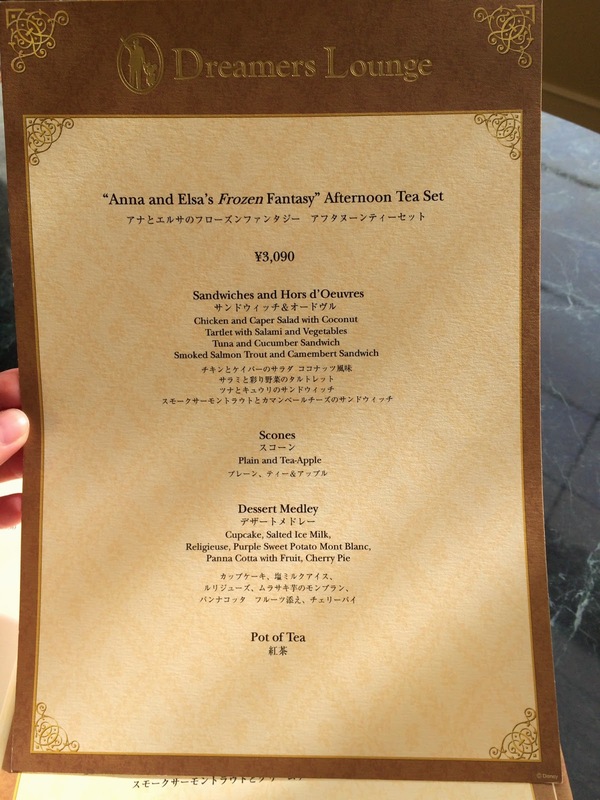 Please come back here at 11:30AM" or even say, "We provide afternoon tea set all day" if it's a part of the land of dreams. 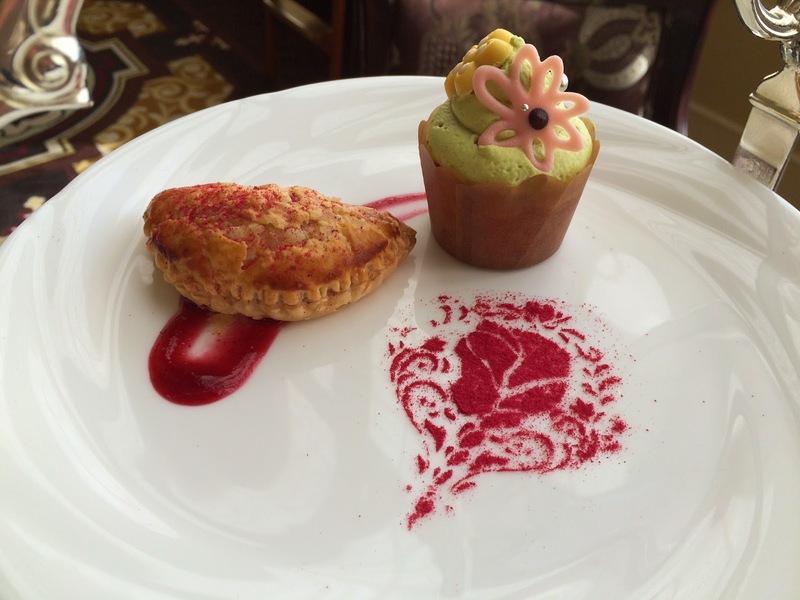 The food looks really pretty but wow, can't imagine a bad service like this in Japan (moreover, in DISNEYLAND). Hope they do something about it! The food was fine, but the worst service ever there. I felt bad for some people who were lining up quietly and by the wall, though we all were sort of "kicked out" from the spot.